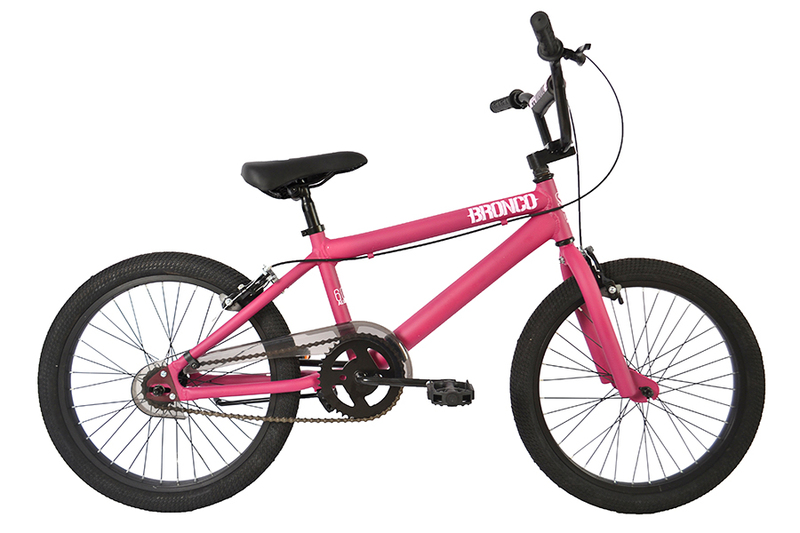 With a short 18â€ top tube and low standover, the alloy Bronco is a perfect fit for youngsters. Front and rear hand brakes will be sure to build confidence and precision. This is entry-level BMX bike at its finest. HANDLEBAR Steel, 22" X 6.3"
SEAT TUBE, CENTER TO TOP 11.8"